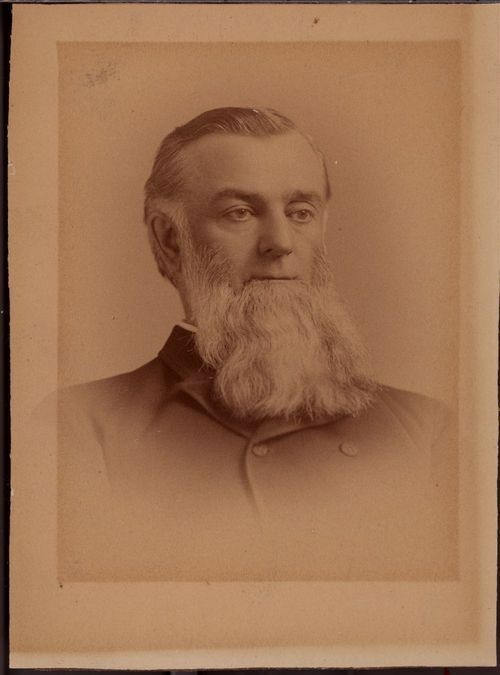 This sepia colored portrait shows William Barstow Strong (1837-1914). He served as president of the Atchison, Topeka and Santa Fe Railway Company from 1881 to 1889. During his tenure as president, Strong developed the Santa Fe into a major transcontinental railway company with the expansion of over 7,000 miles of right-of-way. As a legacy to his name, the town of Strong City in Chase County, Kansas was named in his honor.